This stamp's image displays the word 'received' in red letters with a blue inbox icon, perfect for using on office documents. The image's size is 45 x 17 mm. 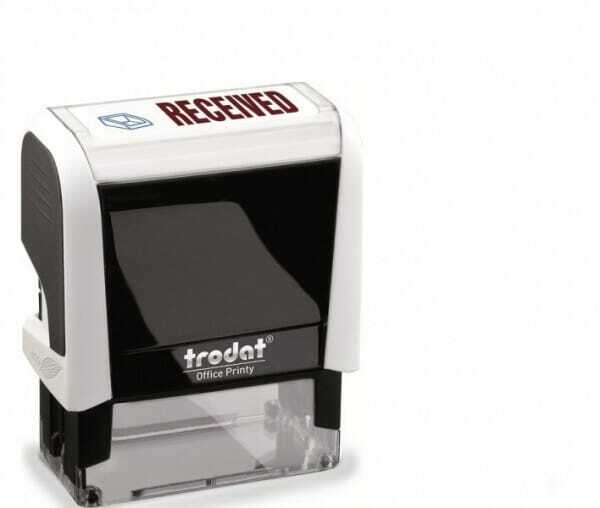 Customer evaluation for "Trodat Office Printy - Received"
Woodies stamp More details needed !